Mr. Donald Alonzo Cook age 78 of Cook Henry Rd. Morganton passed away peacefully on Monday November 5, 2018 at his home following a brief illness. 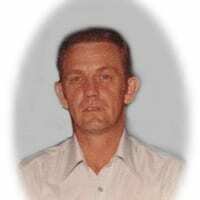 Mr. Cook was born on April 14, 1940 in Clover, SC., the son of the late Lonnie Cook and the late Annie Lee Shew Cook. He was a lifelong resident of Union County and a veteran of the US Army. He had worked at Georgia Boot for many years before retiring. Don loved fishing and a very detailed cabinet maker. He loved gardening and always planted enough for the whole community. He always was a hard worker and was dedicated to his family. He was a loving father, brother, uncle and grandfather. He was preceded in death by his wife, Frances Gibson Cook in 2006, his parents and two brothers, Wayne and Kenneth Cook and a brother in law, Gene Gibson. Mr. Cook was of the Baptist faith. Surviving Mr. Cook are one daughter, Dawn Joann Mullinax , One son, Larry Cook both of Blairsville, two sisters, Rose and Jim Terry, LaurAnn Cook, three brothers and two sisters in law, Harold and Karen Cook, Roy Cook, Ronald and Judy Cook all of Blairsville, one granddaughter, Jessica Mullinax, two sisters in law, Kathleen Cook and Elaine Gibson, brother in law and sister in law, Jerry and Theresa Gibson, several nieces, nephews, many other relatives and friends also survive. Funeral services will be held on Thursday November 8, 2018 at 2:00 pm from the Mountain View Chapel with Rev. Luther Thomas officiating. The following gentleman will serve as pallbearers, Dean Cook, David Reid, Eddie Terry, Roy Cook Jr., Dwayne Townson and Jackie Cook. Serving as honorary pallbearers will be Troy Townson, Don Terry and Stanley Bruce. Interment will follow in the Mt. Zion Baptist Church Cemetery where he will next to his beloved wife Frances. Military Honors will be conducted by the North GA Honor Guard. The family will meet with friends at the funeral home on Wednesday evening from 5-8:00 pm.